A minimal theme designed with content in mind, Lightly offers a clean and modern feel. Share your latest news and rest assured your work will be at the forefront. Using the built-in Customizer with its live preview ability gives you the power to tailor your site to match your needs. Upload your logo with one-click ease – full support of text based logos included. Maximum performance using only the highest quality coding, you can expect an A+ user experience every time. Images, videos, and text will scale down to even the smallest devices. Your site will look great even for those on the go! 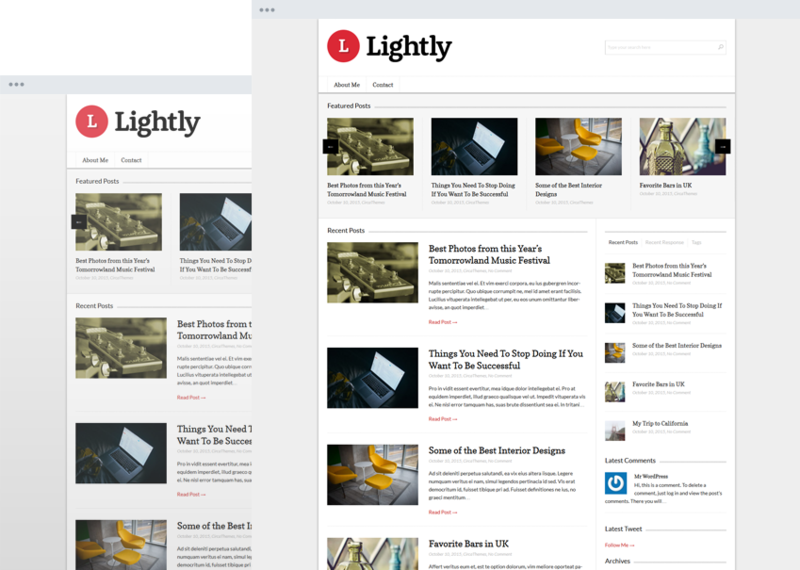 Drag & drop, rearrange, and customize your homepage using a multitude of available widgets, built right into the theme’s core. Create a sleek slider complete with posts title, categories, and auto slide. Translation ready into any language you wish using .po and .mo files. Everything you need to get started. Always keeping up with the latest WordPress version, rest assured updates will be delivered on time. 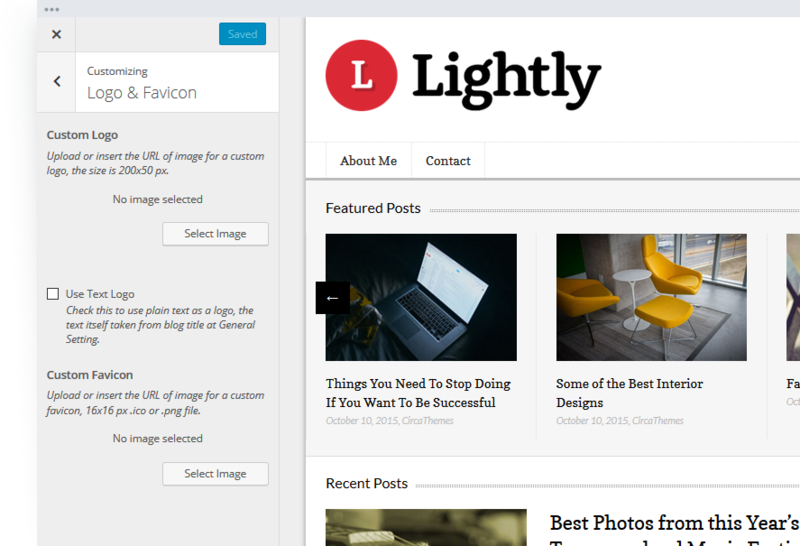 This content-driven theme offers a minimal feel and a way for you to get your point across. Intended for magazines, newspapers, bloggers, and more. Generous white space, a crisp grid layout, and easy navigation. Create a complex landing page or keep it simple with an About Us page. Naturally easy to customize and delivering exceptional design.